BlogHome Blog News Announcing Our New Director! It is with great excitement that the Board of Directors announces the hiring of a new Director for Druid Hills Child Development Center! Nikki Hildebrand will lead our Center beginning Monday, April 8, 2019. Nikki brings a wealth of experience to the role. 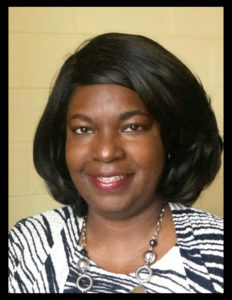 She has seventeen years of experience as a teacher and administrator, eight of which have been as a program supervisor. Nikki has experience coaching and mentoring teachers and partnering with parents and families in early childhood, K-12 public school, and adult programs alike. Nikki sought out DHCDC because of her passion for early childhood education and for the foundation it builds for children’s futures. In addition to various early learning leadership credentials, she earned her Bachelor’s and Master’s in Education from Emory University. In our rigorous interview process, Nikki stood out from a pool of more than 20 highly-qualified candidates as the best overall, and as the best fit for our Center. Nikki rated higher than any other candidate in every interview, task assignment, and meeting in the process – including our staff and parent panel interview. Her level of professionalism and experience, paired with her warm personality, make the ideal balance for our staff and families.